Spring is drawing near, and with it arrives a full calendar of exciting continental cycling events. We take a look at some of the most iconic Classic races. Whereas the Tour de France takes place over a number of weeks, the Classics are all single-day events that fill the spring calendar. There are two major categories; the cobbled Classics, and the Ardennes Classics. Cobbles have been a longstanding tradition in cycling because of their prominence across Northern Europe and inspired manufacturers to create such products as the cobble-crunching Specialized Roubaix range. The Ardennes Classics are hilly races that wind through the Ardennes region in Belgium and are characterised by sudden, sharp ascents like the legendary Mur de Huy. Omloop Het Nieuwsblad traditionally takes place on the last Saturday in the month of February, or the first weekend of March. The Omloop Het Nieuwsblad is the opening event for the Belgian cycling calendar and is one of the most popular of the Classics for travelling cycling fans. Although by no means the oldest of the Classics, having experienced its inaugural year relatively late in 1945, this Belgian race has firmly established its reputation as one of the most prestigious in the early season. 2018’s race saw Astana’s Michael Valgren take the top step on the podium. Both the men's and women's race takes place on the same day, with fearsome climbs, potentially cold weather, and kilometres of cobblestones spread across the 200-kilometre route, the Omloop Het Nieuwsblad is a battle of attrition. The sportive runs the day before the big event – with many thousands turning up on the Friday to partake in the festivities. Gent-Wevelgem is an annually held Flanders Classics road race occurring in late March. Known for its flat finish, this race has earned a name for being one of the most gruelling races for sprinters. A savage 241-kilometre odyssey across hills, battling crosswinds and cobbles means this Classic is more than worthy of a place in your calendar this year. A ferocious sprint finish saw Peter Sagan pip Elia Viviani to the line, claiming his third Gent-Wevelgem title in 2018. A sportive precedes the race on the last Saturday of March, followed by the main event the next day. Sportive riders can expect difficult terrain, complete with cobbles, hills and unfavourable winds. Resolute in its history, the Gent-Wevelgem navigates a number of the battlefields from the First World War on its tour of Belgium. Its first incarnation began in 1934 as a tribute to local hero Gaston Rebry, a native to the town where the race reaches its conclusion. If you are looking for a location to stay, Kortrijk offers ideal accommodation. It is located close to the action of the professional race but also conveniently near the start for the sportive - just make sure you book your room early. Otherwise known as Ronde van Vlaanderen, or De Ronde (The Tour), the Tour of Flanders is a one-day Monument organised as a part of the UCI World Tour. Attracting a crowd of approximately 800,000 spectators annually – this race has the ability to draw in just under 8% of the entire population of Belgium, which sits at 11.1 million. Forming one part of the five Monuments of cycling, this race has now been going strong for over a century with this year's event taking place on the 7th April. In 2018, Niki Terpstra of Quick Step Floors powered to victory by attacking after the Kruisberg, then holding off a field of chasing riders. The Tour of Flanders sportive runs alongside the Tour – drawing over 15,000 participants. The sportive operates on the first Saturday of April, with the professional race happening the next day. Many spectators spend the whole weekend in the area, making it spring's most popular Belgian cycling festival. If you’re thinking of visiting the Tour of Flanders - either as a spectator for the professional race or as a participant in the sportive - there are a number of things you should be aware of. Bear in mind that weather can vary. Spring can bring with it a variety of hazards such as inclement wind, rain, snow as well as baking sunshine. Riders and spectators should expect the climate to be unpredictable. Riders tackling the sportive should be aware of the challenging cobble sections. Wider tyre and double wrapping bar tape should ensure you hammer the uneven surface, as opposed to the other way round. Tighten and check all bolts to avoid disaster, water bottle cages should be snug enough to not let your precious water supply slip out at speed. Also be prepared to alert people to your presence on the steep climbs, as riders will dismount and start walking up the road with little or no warning. La Fleche Wallonne continues to be many riders and fans' favourite Ardenne Classic thanks to its three ascents of the famous Mur de Huy. The Mur is a gruelling 1.3 kilometre climb with an average gradient of 9.3%, but an eye-watering max of 26%. The word "Huy" is written every three metres up the climb, which gives it a memorable look for spectators and acts as nice distance markers for the professional riders. Taking place on the Wednesday between Amstel Gold and Liege Bastogne Liege, Fleche is a good indicator of form. Alejandro Valverde holds the record number of victories with five wins atop the Mur de Huy, but in 2018 his winning streak of four in a row was put to an end by Julian Alaphilippe. Nicknamed La Doyenne, or ‘the oldest’, Liege Bastogne Liege is well established as the oldest of the Monuments with its first edition taking place back in 1892. Combined with a distance covering 258 kilometres, this race exhibits all of the qualities of a truly prestigious event and acts as a fitting finale to the major Classics season. Liege Bastogne Liege is characterised by its many challenging hills and over 4500 metres of ascent. This makes it a race for climbers and those who time their attacks well. Eddy Merckx still holds the title for the most Liege Bastogne Liege wins. Liege is often a race that can go right down to the wire, with multiple riders coming over the final Cote de Saint-Nicolas climb together. But not in 2018, when Bob Jungels managed to pull off a 20-kilometre solo breakaway to claim victory some 37 seconds ahead of Micheal Woods and Romain Bardet. This is perhaps the best destination for fans of the Ardennes Classics. For those that want to experience the thrill of the route themselves and climb the iconic Côte de La Redoute, a sportive runs the day before the big race. 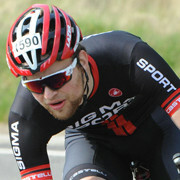 About Josh Mott : A keen road rider, Josh enjoys taking part in sportives, both in the UK and abroad. Finishing his first Etape du Tour in 2015, Josh is looking for the next two-wheel challenge.